Funmatsucha (粉末茶): This is cheap, "instant" green tea. Low-grade leaves are milled into a powder and the drink is made by scooping some into a cup and directly adding hot water. Sometimes other ingredients are mixed into the powder to enhance the flavor. The powdered tea commonly seen at conveyor-belt sushi restaurants, especially discount chains like Kappa Zushi, is funmatsucha. 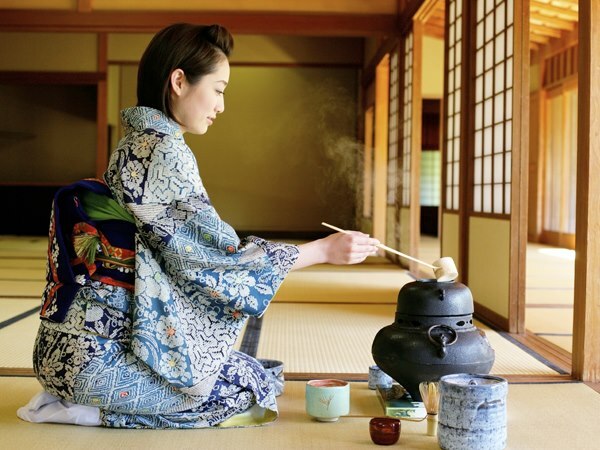 Sencha (煎茶): This is the "most popular, representative tea" of Japan. It comes from the tea plant's first, tender shoots of the season, and is said to have a delicate, fresh taste. 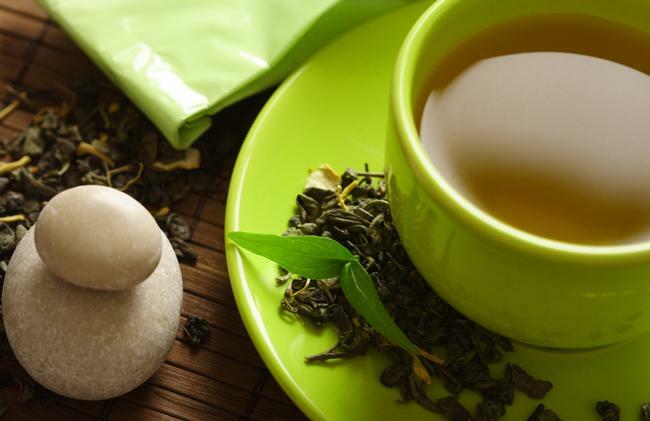 There are endless different blends and sencha, and the variation in taste comes from the producer's choice of which grades of plant, which parts of the tea leaf, and what processing methods to use in preparing the tea for sale to consumers. Some green tea is... not for drinking. 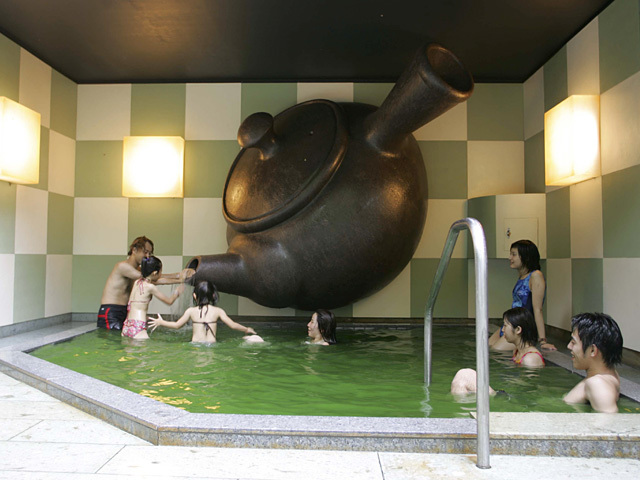 Fukamushicha (深蒸し茶): One widely seen variant of sencha is called fukamushicha. It is made by steaming the tea leaves longer than is usual for the sencha process, resulting in a much finer consistency. Fukamushicha is darker and less bitter than its sencha counterpart, and its consistency allows the final prepared drink to contain small particles of tea leaf. These are meant to be ingested along with the liquid. Houjicha (焙じ茶): For houjicha, green tea leaves are fired inside a ceramic container, rather than being steamed then dried like sencha. Often lower grade, later flush leaves are chosen for use in this process. Houjicha has a distinct smell and flavor, as different from green tea as black or oolong. It's often described as roasted and nutty or... just... "hard to describe." Personally, it reminds me of tree bark. 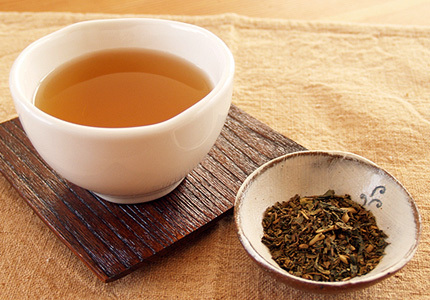 Houjicha has less caffeine than green or black teas. Kukicha (茎茶): Kukicha is a low-caffeine tea made from twigs and stems of the tea plant, often the twigs and stems left over after sorting desirable sencha components out of a rough batch of harvested and dried aracha. This means that the flush and quality of plant used in kukicha is usually quite good. But because the twigs and stems are considered undesirable in the main tea market, kukicha is inexpensive compared to other green teas. It's said to have a fresh, clear taste among teas.